Papers: 1859, 1 item. Letter of Fernando Wood written on December 1, 1859. Papers: In the Isaac Sherman Papers, ca. 1832-1913, approximately 5,000 pieces. Correspondents include Fernando Wood. Papers: In the Augustin W. Hale Papers, ca. 1775-1909, approximately 5,256 items. Correspondents include Fernando Wood. Papers: 1864, 1 item. A letter from Fernando Wood to G.L. Ford written on June 21, 1864. In the letter, Wood writes that he will forward a copy of McClellan's report when printed, but that Grant has not made one. Papers: 1867, 1 item. A letter from Fernando Wood to an unidentified recipient written on November 30, 1867. In the letter, Wood encloses ballots for the election for the following Tuesday. Papers: In the New York (N.Y.). Mayor (1860-1862 : Wood) Papers, 1860-1862, 0.5 cubic foot. Persons represented include Fernando Wood. Papers: 1854, 1 page. A letter from Fernando Wood written June 13, 1854. Papers: 1863, 1 page. A letter from Fernando Wood written on October 30, 1863. In the letter, Wood writes to New York Governor Horatio Seymour requesting a commission as second lieutenant for a friend in Company C, 40th Regiment of New York State Volunteers. Papers: In the United States Custom House (New York, N.Y.) Records, ca. 1792-1896, 0.4 linear foot. Persons represented include Fernando Wood. Anbinder, Tyler G. "Fernando Wood and New York City's Secession from the Union: A Political Reappraisal." NewYork History 68 (January 1987): 67-92. Chalmers, Leonard. "Fernando Wood and Tammany Hall: The First Phase." New-York Historical Society Quarterly 52 (October 1968): 379-402. Howard, Oliver Otis. Statement of Br. Maj. Gen. O. O. Howard, before the Committee on Education and Labor, in defense against the charges presented by Hon. Fernando Wood, and argument of Edgar Ketchum, Esq., of counsel for Gen. Howard in summing up the case upon the testimony before the committee. New York: Bradstreet Press, 1870. Hutchinson, E. A model mayor. Early life, congressional career, and triumphant municipal administration of Hon. Fernando Wood, mayor of the city of New York: Presenting his public speeches and messages, and the principles on which his government is founded. By a citizen of New York. New York: American Family Publication Establishment, 1855. Ingraham, Abijah. A biography of Fernando Wood. A history of the forgeries, perjuries, and other crimes of our "model" mayor. No. 1. [New York: N.p., 1856]. MacLeod, Xavier Donald. Biography of Hon. Fernando Wood. New York: O. F. Parsons; 1856. Pleasants, Samuel A. Fernando Wood of New York. New York: Columbia University Press, 1948. Richardson, James F. "Mayor Fernando Wood and the New York Police Force 1855-1857." New-York Historical Society Quarterly 50 (January 1966): 5-40. "Tammany Hall, Fernando Wood, and the Struggle to Control New York City, 1857-1859." New-York Historical Society Quarterly 53 (January 1969): 7-33. United States. 46th Congress, 3d session, 1880-1881. House. Memorial addresses on the life and character of Fernando Wood, (a Representative from New York) delivered in the House of Representatives, February 28, 1881. Washington: Government Printing Office, 1882. Wise, Henry A. (Henry Alexander). Correspondence between Hon. Henry A. Wise and Hon. Fernando Wood. N.p., . Wood, Fernando. An address on the genius, public life, and opinions of Alexander Hamilton. Delivered at Richmond, Va., May 9, 1856, by request of the ladies of the central Mount Vernon Association, and in aid of the purchase of Mount Vernon. New York: E. Childs, printer, 1856. ------. Annexation of Dominica. [Washington: Printed at the Congressional Globe Office, 1871]. ------. The national finances and public expenditures. Extravagance and maladministration. Speech of Fernando Wood, of New York, delivered in the House of Representatives, March 7, 1874. [Washington]: Judd & Detweiler, printers, . ------. Refunding the public debt. Financial policy of the Secretary of the Treasury. Can a three-and-a-half per cent. bond be negotiated at par? Speech of Hon. 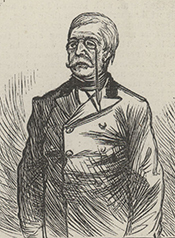 Fernando Wood, of New York, in the House of Representatives, Thursday, March 4, 1880. Washington: N.p., 1880. ------. Speech of Fernando Wood, delivered before the meeting of the National Democratic Delegation to the Charleston Convention, at Syracuse, February 7, 1860. N[ew] Y[ork]: Office of the Daily News, .